The monograph Pour une généalogie critique de la Francophonie, by Christophe Premat, studies the genesis of the institutions of the Francophonie at the time of independence of African countries in the sixties. Based on geopolitical analysis and postcolonial theories, the author reassesses the position of France which officially distanced itself from this multilateral organization. France controlled more and more the organization in the 1980s, when the organization increased its political expression on international issues. By confronting the spirit of the structures with the actors of the Francophonie, the work reflects on the challenges and the difficulty to define the specific fields of action of this organization. Furthermore, the book proposes a critical analysis of the francophone discourse based on the ideology that makes the French language an instrument containing values and norms. Pour une généalogie critique de la Francophonie is a monograph in French. The Author of this monograph is Christophe Premat, Lecturer in French with a specialization in cultural studies, Department of Romance Languages and Classics, at Stockholm University. 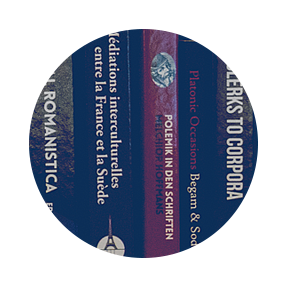 Pour une généalogie critique de la Francophonie is the third volume of Stockholm Studies in Romance Languages a peer-reviewed series of monographs and edited volumes published by Stockholm University Press. At the Stockholm University Press website you can download an ePub or pdf-file that allows you to read the book online or access it on multiple devices. You may also also order a print copy of the book through the website.